Traditionally, a hose is used when cleaning cars. 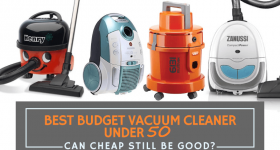 This is cheap, but the problem is that the pressure may not be enough to remove stubborn dirt and grime. Fortunately, there are now pressure washers that can be used. It is a highly-advanced equipment that makes cleaning easier, quicker, and more effective. 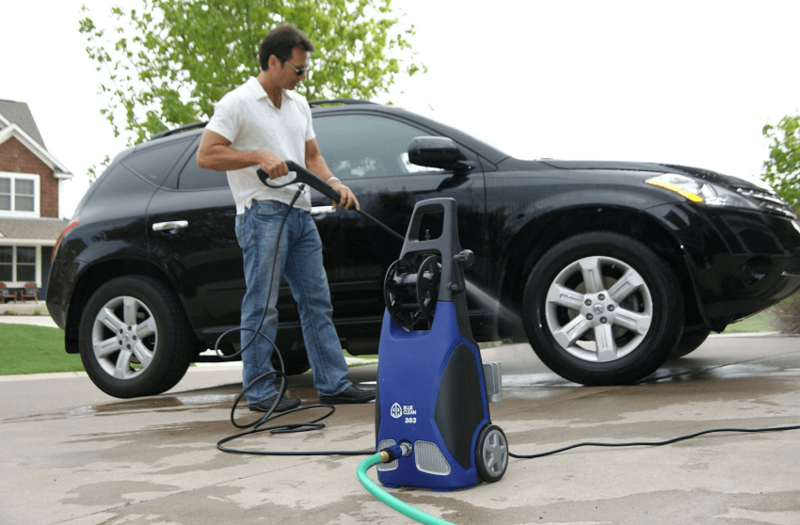 If you are searching for the best pressure washer for cars, this post has got you covered. I will walk you through the two types that are available – gas and electric pressure washers. This guide will compare the two and identify some of the best brands and models in each category, which will make it easier for you to arrive at a well-informed decision. What is a good psi to wash a car? Is an electric pressure washer good? what PSI is safe for use on your car between 1400 – 2000 PSI is good. I am looking to get a used pressure washer (electric preferably) and a foam cannon as it will be much quicker this way to wash mine and my wife’s car in the spring, summer and fall. What washer would you recommend? Anything specific I should check for when buying a used one? Since you’re looking for used, maybe get one that is rebuild able. The triplex pumps are nice. Check the oil. If you get those ones which are fully encased then I don’t think there is much you can look at from the outside other than checking the exterior and leaks at the connection points. AR Blue is a good brand, so is General Pump, and Camspray, so are the commercial Karcher units. It really depends on how much you want to spend and what is available on the used market. When buying a pressure washer that is meant to be used for cleaning a car, the options are almost endless. You have to think about price, cleaning performance, ease of use, durability, and warranty, among other things. Nonetheless, one of the first considerations would be whether you should go for an electric pressure washer or one that is gas-powered. To provide you with a better understanding of which one is more suitable for your needs, in this section, we will have a look at the pros and cons of each of them. As the name shows, this type would require a supply of electricity to be powered. There is a plug that needs to be connected to an electrical current. Affordable: Compared to its counterpart, the electric pressure washers are generally cheaper, making it the perfect choice for people who have a tight budget. Lightweight: Because there is no gas tank that needs to be filled, another advantage is that it usually has minimal weight. This means that moving it around will be easier, and hence, it can minimize fatigue. Operates Quietly: Using a pressure washer can be annoying, basically because it can produce a loud noise. Luckily, if it is electric, more often than not, the noise can be kept to a minimum. Easy to Use: If you want a pressure washer that is user-friendly, this will be a good choice. You simply have to push the start button and the engine will be activated. Limited Power: If you look at the technical specifications of electric pressure washers, one thing you will easily notice is that they are less powerful. This means that they must be limited to small and medium-duty cleaning applications. Lack of Portability: With an electric pressure washer, you need to have a supply of electricity, which makes it not portable. Also, the length of the cord might limit your movements. For more demanding cleaning applications, pressure washers that are powered by gas can be the better alternative. Powerful Cleaning Performance: Without a doubt, this is its biggest advantage over its electric counterparts. It is perfect for industrial and heavy-duty applications. This is an ideal investment for a car wash shop because of its incredible power. Portable: If you need to clean cars in different locations or in places where there is no supply of electricity, this type should be your choice. there is no power cord. It can be heavy, but given the fact that most of them have well-designed wheels, moving it around will be almost effortless on your end. Cleans Quickly: Because of the powerful motor, it will allow you to accomplish a cleaning task quicker, even when you have to deal with tough stain and dirt. Requires More Maintenance: One of the drawbacks is that it requires more effort when it comes to maintenance. To be specific, you will need to check oil levels and make sure gas is drained prior to storage. Expensive: The power of this pressure washer is the reason why it is more expensive. Most novices stay away from its because of its high price. It all boils down to personal preferences. If you want one that is cheap and excellent for light-duty cleaning, an electric pressure washer is the best pick. On the other hand, if budget is not an issue and if you want one that is suitable for heavy-duty cleaning jobs, you should go for a gas-powered pressure washer. The short table below provides a quick summary of some of the top picks in the market and followed by a detailed review of these products. This is one of the electric pressure washers with the highest rating that you can find online. It can be attributed to the fact that it comes with a powerful 14.5-amp motor that can deliver up to 1,800 watts of power. It has a force of 2030 PSI while the flow rate is 1.76 GPM. For versatility, you will also love how it comes with 5-quick connect nozzles, which will allow you to use it in multiple applications, not just for cleaning cars. Aside from the soap nozzle, you can also choose from 0, 15, 25, and 40-degrees. It is also worth noting that it comes with the Total Stop System, a feature that prolongs the functional life of the motor while also helping to conserve energy. This allows the pump to turn off on its own when the trigger is not engaged. This pressure washer also comes with dual detergent tanks. This means that you can carry more onboard, providing the assurance that you will not run out of detergent. Plus, because there are two tanks, you can use two different types of detergent at a time. For most small to medium-duty car cleaning, this can prove to be sufficient. It has 2,000 PSI and 1.4 GPM. The flow rate may not be the best, but with its pressure, it can guarantee an exceptional cleaning performance. Among others, one of its best features is the Vario Power Spray Wand. With the latter, you can easily adjust the spray pattern of the wand, depending on what is suitable for a specific cleaning task. There is also a Dirt Blaster spray wand, which is made specifically to tackle the toughest dirt. More so, another thing that makes this an exceptional choice is the N-Cor pump. The latter is made from a non-corrosive material, which makes it hard to rival in terms of durability. It is also maintenance-free. Lastly, there is a water-cooled induction motor. Compared to the standard motors that you can find in competing models, this is five times better, which is another reason why you can expect that it will be long-lasting. Among others, one of the best things about this product is that it weighs less than 30 pounds, making it an excellent choice if you want one that is lightweight. Complemented with well-designed wheels, you can be sure that moving it around will be a piece of cake. This is also a user-friendly electric pressure washer. Right out of the box, you do not have to exert too much effort to complete its assembly. It also comes with a 35-foot power cord, which will provide you with the freedom to move around. This means that you do not always have to be near the supply of power. The high-pressure hose, on the other hand, has a length of 20 feet. Lastly, to provide you with peace of mind, the manufacturer is offering a one-year bumper to bumper warranty. This is another perfect choice for people who are looking for a budget-friendly alternative. Given its price point, however, expect that it will deliver only basic functions. It is not as powerful as the three other products that have been mentioned above. This is a lightweight and compact product, which is excellent in terms of portability. When cleaning cars, you can use it in both horizontal and vertical orientations and it will be stable. There are two quick connect tips that are included – 25 and 40 degrees. There is also a soap applicator. Lastly, it has a certification from the Pressure Washer Manufacturers’ Association, which means that it has passed rigid tests before being released in the market. The short table below will give you a quick comparison of the products that will be further tackled in this section. Among others, the spray wand is one of the best parts of this gas pressure washer. It has an ergonomic design, which provides an assurance of your comfort. It significantly minimizes fatigue. Plus, there is also an easy to access Power Dial, which will make it easy to customize the pressure of the water. It is also a good thing that it comes with oversized tires that will never get flat. Even if the pressure washer is quite heavy, mobility will never be an issue because it has excellent tires. You will also love the axial pump that is incorporated in the pressure washer, which is one of the reasons why it is powerful. The pump also has easy to access connections, making it effortless to attach a hose. There is also a ½ gallon detergent that is on-board the unit, which will lessen the hassle that is associated with its use. With 3,100 PSI and 2.5 GPM, there is no doubt that this is another powerful option that should be part of your list of choices. To make it even better, it comes with a Honda motor, which is known for delivering performance that is hard to rival. The quality of the hose is one more thing that should be highlighted in this product. It can resist kink and abrasion, which is one of the reasons why it is durable. They will be perfect even for heavy-duty use, unlike others that can be easily prone to wear and tear. While it is useful for cleaning cars, it can deliver multiple applications. One of the reasons for this is the inclusion of different nozzles, which are also effortless to connect. You can choose which spray pattern is most suitable for a specific cleaning task. The 10-inch pneumatic tires are also great. They make sure that moving the pressure washer around will not be a difficult task. These tires will be effortless to move regardless of the surface where it is. This gas-powered pressure washer delivers 2.5 GPM and 3,100 PSI. One of its noteworthy features is the 208cc 4-stroke OHV engine, which allows the product to clean even the toughest dirt without the need to exert too much effort. Similar to most of the top-notch options that you can find on the market, there are five nozzles that are included, each is easy to connect. With multiple nozzles, you can use it in different tasks, not just for cleaning your car. To make it effortless to have the pressure washer moved around, it has 12-inch wheels. They are made from excellent materials and designed in such a way that you can move it easily even on tough terrains. To make it user-friendly, there is an on-board soap tank. There is also a 30-foot hose to provide you with the freedom to move around when cleaning without having to push the washer with you. Lastly, if you want to have peace of mind, it is also good to know that the manufacturer is offering a warranty for two years. With only 2 GPM and 2,200 PSI, this is the least powerful from the gas-powered pressure washers that are mentioned in this post. Nonetheless, this is also the most affordable. This is ideal for budget-conscious buyers looking for a pressure washer for light-duty cleaning. In terms of design, I liked the ergonomic handle, which will make you feel comfortable, and hence, can lessen fatigue. I also loved how the handle can be folded, which keeps it compact in the storage room. The flat-free tires are also worth mentioning. With the latter, you will never need to inflate, and best of all, you have the assurance that it will stay inflated. There are also four quick connect nozzles that are included, which are suitable for different cleaning applications. You can choose from 0, 25, 40, and 65 degrees. The 65-degree nozzle also doubles as a soap applicator. Lastly, the warranty that is offered by the manufacturer is perhaps one of the most extensive that you can find. The pump comes with a 2-year warranty while the engine has a warranty for 3 years. In sum, whether you opt for a gas or electric pressure washer, it is an essential tool for cleaning your car and it can make your life easier in more ways than one. At the end of the day, it is your personal needs and preferences that will dictate which one is more appropriate for your needs. All that you have to do is carefully evaluate the possibilities to make a decision you will not regret. Did you learn anything from this guide? Is there anything else that you would like to add? Do not hesitate to leave a comment below. What’s the best electric pressure washer for detailing cars? I’m looking for a good quality pressure washer for cleaning cars. It needs to be able to draw from a water tank without assistance, and it needs to be reliable. About $200 is my budget, but I’d like to keep it as cheap as possible while still keeping quality. Love my Karcher K1700 Electric Power Pressure Washer. My dad had one that lasted at least 10 years before something broke internally and it sprayed water everywhere. I have a newer model now (I forget the number) but it was in the $200 price range 1700psi. The first one I had actually wouldn`t turn on after about 10 uses. Never did look into the issue. Karcher replaced the unit no questions asked and my replacement one has been working like a champ ever since. Thumbs up for their rapid replacement (I think that was what it`s called). Best part is they didn`t make me return the bad one, so I got spare parts if ever needed. Probably was just a bad switch or something anyway so I bet fixing it would be easy enough. I tried researching pressure washer, but I am having trouble finding the best pressure washer ones specifically for cars and my budget for $300.. Just looking into cleaning/foaming with a pressure washer and was curious about which is the best. WHAT WE CAN USE TO CLEAN THE LIGHTS OF THE CAR? I have a Subaru XV Crosstrek car so this one I want to be perfect. What products and hardware will I need to do this, and how often should I wash? 5) Filter, on the hose, to help with water spots. After this, I’m unsure of what else is needed to maintain the exterior and interior. What detergents, waxes, mitts, sprays, for wheels, windows, interior, etc etc etc, do I need? I want this car to SHINE like a mirror. I plan to buy a high grade car cover, that’s breathable, and resistant to water, and other materials, one that won’t cause rust. Suggestions for all of this or will I be overdoing it? I figure, I’m looking at $350-400 range just for the stuff I mentioned above, but if washing my car every week (and multiple other cars I have), it should be worth it right? So this is the first time I’m considering washing my car with a pressure washer. For some reason it seems like overkill to use such a powerful method to wash the car because…I’ve seen my dad use it to remove old paint off wood. I want to know if using a pressure washer will remove the paint off the car. Is pressure washing a car safe?Thanks. 1) How much pressure do you think you get out of one of the manual car wash? I am using that to base my decision on how much PSI i need. I really don’t want to spend a lot of money. I have heard that a car wash isn’t even 2000psi. Is this true? One of the main things i want to use the pressure washer for is to wash my truck. The low end ones are usually 2000-2200 rpm. Im hoping this is enough. 2) Do most of them have chemical injection systems? I forsure want this feature when i wash my truck. 3) I heard don’t buy one of the electrical units because they are junk and wear out really fast. Is this true? 4) If i buy a gas powered one should i try to get one with a honda engine compared to a B&S? 5) What features should you really look for when your buying one other than PSI? What features do you think you could not live without? Gas or electric what’s pressure washer for cars? For some strange reason I have this aversion to storing gas cans in the garage. Every tool I have is electric … snow blower, lawn mower, leaf blower, and weed cutter. They all do a great job. I have purchased sun joe electric power washers and they wash the car very well.